Every now and then you need to treat yourself, right? Spend a little extra on some quality goods as a pick me up or little reward to yourself. Department stores like House of Fraser undoubtedly fulfill this need with the concessions and brands that are integrated into the structure of the company. 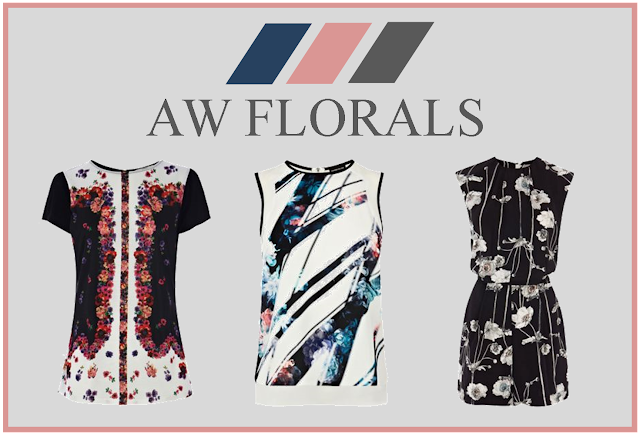 I was contacted by a House of Fraser representative to showcase some of their new collection which is rammed full with spot on pieces for next season! Seeing the combination of multiple brands' pieces come together in House of Fraser creates a wonderful collective vision for next season; very much spoiling you for choice! 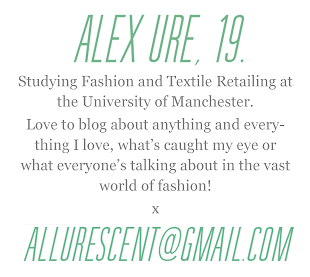 So here's my Ultimate Trend Guide for next season compiled with key trends from House of Fraser's new collection. Layering different textures has always been key to styling autumn pieces well, and where can you go wrong with a bit of leather? I'm loving that people are stepping out of their leather jacket comfort zone; pulling off leather pants and skirts to really inject a grungy edge to their outfit! The extra dimension the cut out rose detail creates on this leather skirt is really cool and the leather panels on the pencil dress will really create a flattering womanly shape. It's one of those every-occasion dresses that you can style to suit every need. I've bagged myself a leather (well PU let's be honest) A-line skirt for Autumn and can't wait to wear it. 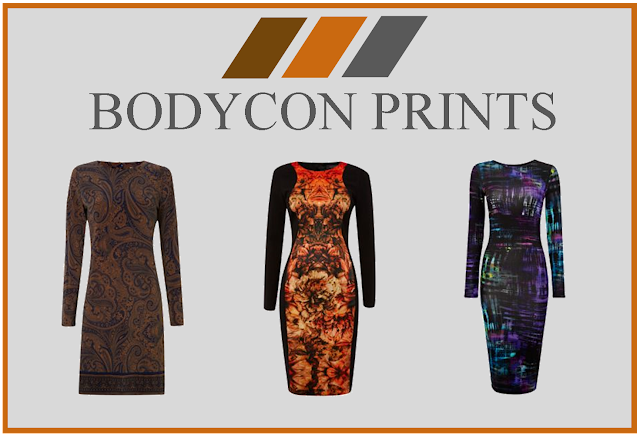 For those cold winter evenings there's nothing better than a practical printed long sleeve bodycon, slap on a pair of tights and you're good to go; comfortable, practical and hot on trend! I'd even wear them with a coat and boots in the daytime too. Both Pied a Terre dresses are real head-turners and the fiery tones of the bonfire print really create some warmth in the dismal weather that's inevitably to come. Of course Autumn/Winter trends are never complete without a hardy coat or two! Earthy greens seem to continue to be an essential coat-colour which I'm not complaining about but I love the darker, slightly teal/blue tinge of the MaxMara coat and the oversized smart tailoring. Go edgy with the Label lab jacket, sophisticated chic with this MaxMara number or laid-back cool with the Oasis parka; I love them all! 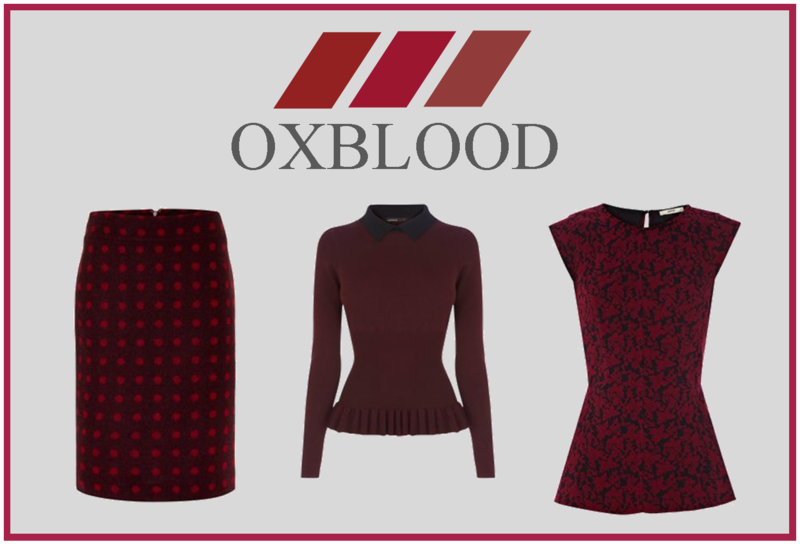 Burgundy/Oxblood shades usually crop up in winter trends which I think look extra fab in the dark prints. The tailoring and drape of these items give off a sophisticated edge; the subtle peplum (right) especially. 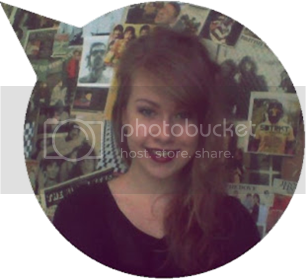 I really like this colour against the winter warmer colour pallet despite verging on becoming christmassy! There's been a lot of ranting and raving going on surrounding tartan, checks and the general grunge image of late so of course this has to feature in this ultimate A/W guide. 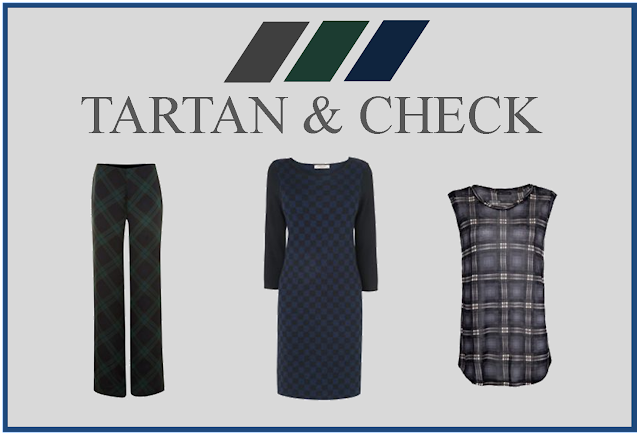 I'm loving the subtler tones of tartan and check at the moment in comparison to popular red but the trend's about to boom into the mass market so I'm sure we'll see a lot of all kinds of tartan colour-combos. Remember Luis Vuitton's iconic revamp of sixties style checks? (Who could forget?) This Jaeger dress reminds me of this continuing trend with the addition of duller Autumn colours. I've previously blogged about new takes on monochrome, the first two tops continue on from the monochrome prints with a hint of colour that I talked about being set to be the next-big-thing in monochrome. The slight colour seems to add another dynamic to the print; being not too bright for AW. I love all of these prints and would wear all these items without hesitation, particularly the check floral tee as I love the merging of linear and floral influences. I hope you enjoyed my House of Fraser picks and interpretation of some of the upcoming trends. Everyone seems so fed up of summer now and are itching to get their Autumn clobber on so what do you think your Autumn treat will be? What trends are your favourite? COOOAAAATTSSS! Ahhh I love the Double Breasted Wool Coat so much! I'm so short that it's difficult to find one that fits well. Love love love everything you've chosen here. Definitely a girl after my own heart! I'm totally seduced by florals this season but I'm trying my best to resist. Love this post! 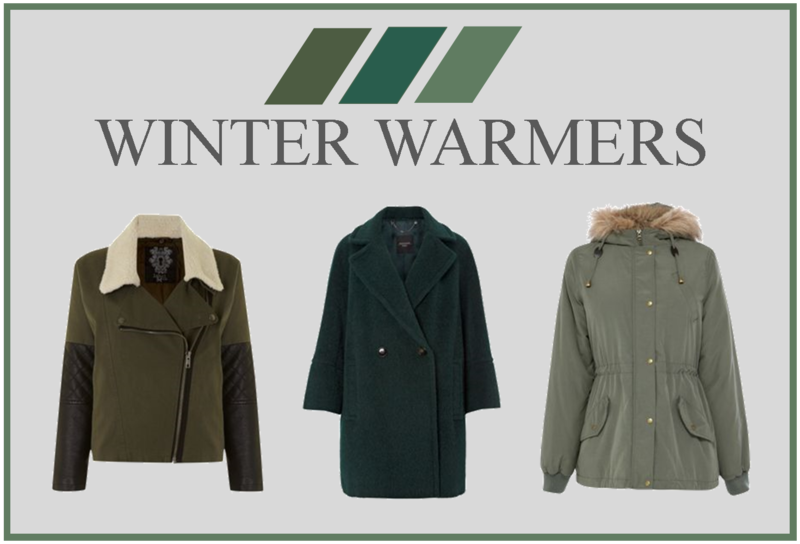 I love all these trends- especially the winter warmers! I am so excited to get out my winter boots and jackets just because the shaking up of the wardrobe! Look forward to seeing what new posts you have! I love all of these! I love the middle bodycon dress, how beautiful?! I think my favourite will probably be between the leather and winter warmers trends. That leather skirt is just awesome! I live in a leather making town - I wonder if anyone does anything similar. great compilation, love the leather pieces. GREAT Post!!! LOve the Inspiration!! !